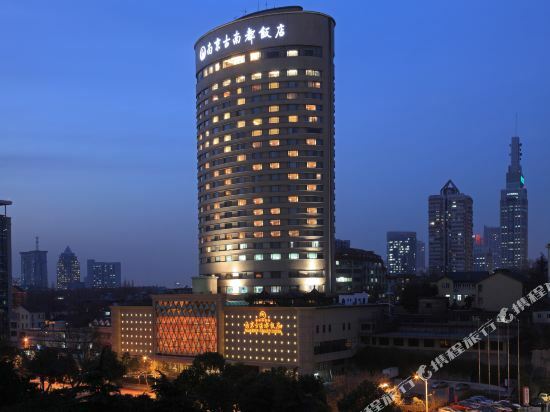 The Golden Eagle Summit Hotel (Jinying Zhujiangyihao Guoji Jiudian) is located in Nanjing's central business district. 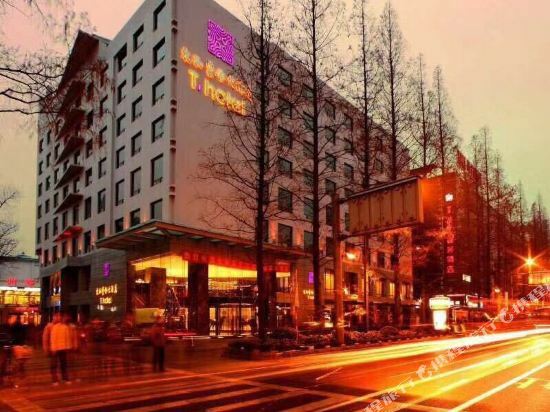 This Nanjing hotel offers easy access to Metro Line 1 Zhujianglu Station. 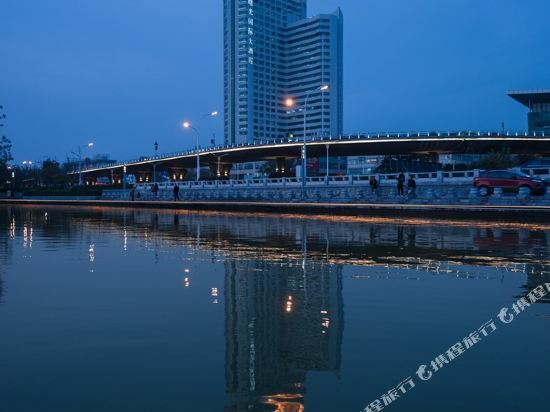 It is also a 15-minute drive from Nanjing Railway Station and a 45-minute drive from Nanjing Lukou International Airport. <br><br>Each room comes complete with an LCD TV, high-speed broadband Internet access and floor-to-ceiling windows. Guests have access to small conference rooms on each floor. Guests checking in to executive floors can enjoy secretarial service and various value-added services. <br><br>Authentic Western cuisine and Southeast Asian food are on offer at the Western restaurant. The lobby lounge offers a variety of drinks and Western pastries and keeps guests connected with Wi-Fi access. <br><br>The hotel's selection of conference rooms is serviced by professional conference staff. <br><br>A fully-equipped fitness room and an indoor swimming pool are available for guest use. 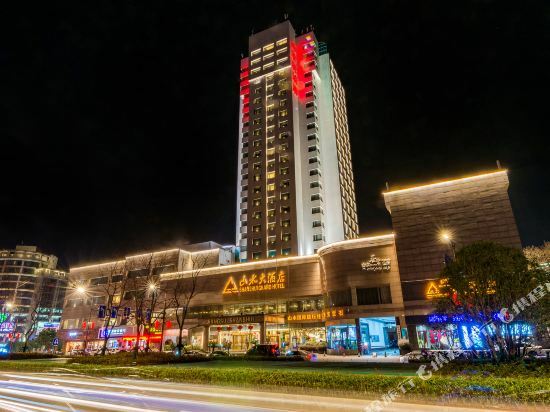 Located close to the famous attractions of Xuanwu Lake and Shanding Park, the Eastern Pearl Hotel (Dongfang Zhenzhu Fandian) is an international business hotel located in the center of Nanjing.<br><br>The hotel’s guestrooms come equipped with broadband Internet access, flat screen TVs and other amenities.<br><br>Diners can take advantage of the on-site Chinese restaurant which serves a range of dishes, or enjoy the rooftop coffee shop which allows guests the chance to view the city down below as they sip on a refreshing drink.<br><br>Well-equipped for business guests, there is a comprehensive business center and numerous meeting rooms available. 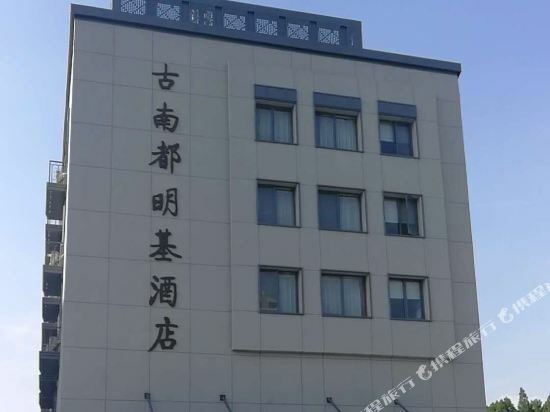 The Zhongshan Hotel (Zhongshan Dasha) is located in the vibrant downtown commercial area, close to the Presidential Palace, Nanjing University and Southeast University.<br><br>Rooms in this Nanjing hotel come complete with all the standard amenities including Internet access. <br><br>Guests can enjoy both Chinese and Western cuisines in the on-site dining outlets. 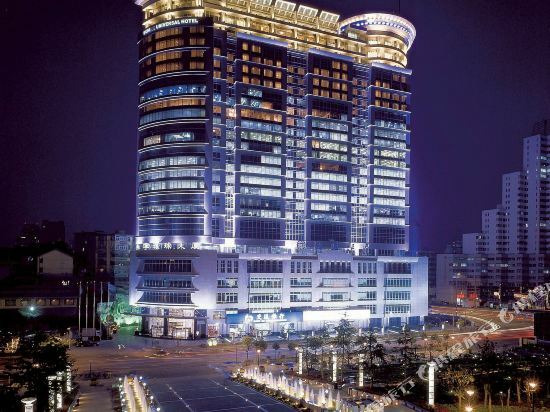 In addition, there is a bar where guests can socialize over a drink.<br><br>Well-equipped meeting halls, a business center and a ticket office are also available in this Nanjing hotel.<br><br>When it comes time to relax, guests can get a massage, sing karaoke, play pool, use the fitness facilities or steamy sauna. 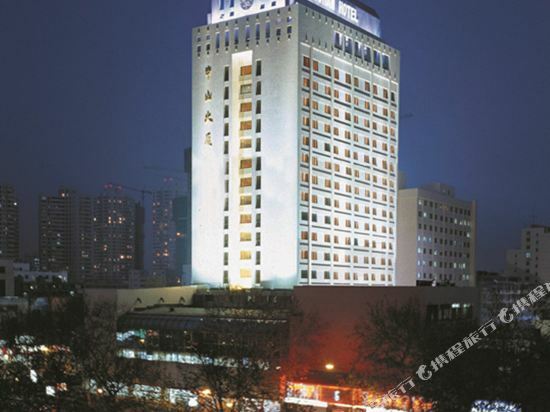 The Zhongshan Hotel Nanjing (Nanjing Zhongshan Binguan) is located within easy reach of the bustling downtown area.<br><br>This Nanjing hotel offers a great variety of well-equipped accommodations ranging from standard to queen room.<br><br>The Chinese restaurants serve Huaiyang, Sichuan and Guangdong cuisine. There is also a coffee shop.<br><br>The hotel provides private meeting rooms, the largest of which can hold 700 people. The business center offers comprehensive secretarial services, ranging from computer printing and internet access, to ticket reservation. 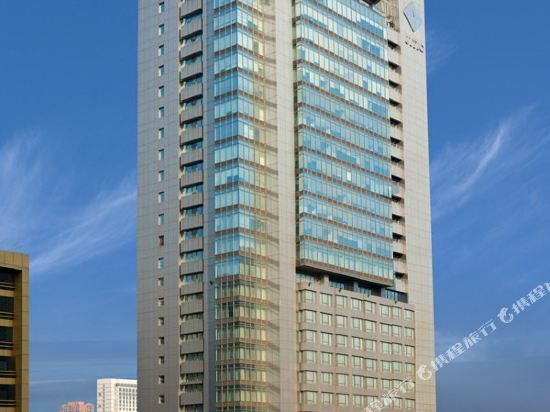 The&nbsp;Grand&nbsp;Metropark&nbsp;Hotel&nbsp;Nanjing&nbsp;(Nanjing&nbsp;Weijing&nbsp;Guoji&nbsp;Dajiudian)&nbsp;is&nbsp;located&nbsp;within&nbsp;easy&nbsp;reach&nbsp;of&nbsp;the&nbsp;Nanjing&nbsp;Museum,&nbsp;Zijin&nbsp;Hill&nbsp;scenic&nbsp;area&nbsp;and&nbsp;Nanjing&nbsp;Presidential&nbsp;Palace.&nbsp; <br> <br>This&nbsp;Nanjing&nbsp;hotel&nbsp;offers&nbsp;561&nbsp;guestrooms&nbsp;with&nbsp;a&nbsp;variety&nbsp;of&nbsp;accommodations&nbsp;including&nbsp;central&nbsp;air&nbsp;conditioning,&nbsp;high&nbsp;speed&nbsp;Internet&nbsp;access,&nbsp;international&nbsp;and&nbsp;domestic&nbsp;direct-dial&nbsp;phones&nbsp;and&nbsp;in-room&nbsp;safes.&nbsp;The&nbsp;executive&nbsp;floors&nbsp;include&nbsp;an&nbsp;executive&nbsp;lounge,&nbsp;an&nbsp;inclusive&nbsp;conference&nbsp;room&nbsp;and&nbsp;butler&nbsp;service. <br>&nbsp; <br>The&nbsp;hotel's&nbsp;two&nbsp;on-site&nbsp;Chinese&nbsp;restaurants&nbsp;serve&nbsp;Huaiyang&nbsp;cuisine&nbsp;and&nbsp;imperial&nbsp;dishes&nbsp;fit&nbsp;for&nbsp;an&nbsp;emperor.&nbsp;The&nbsp;hotel&nbsp;also&nbsp;offers&nbsp;authentic&nbsp;Italian&nbsp;fare&nbsp;and&nbsp;other&nbsp;cuisines&nbsp;from&nbsp;throughout&nbsp;Asia&nbsp;and&nbsp;Western&nbsp;countries. 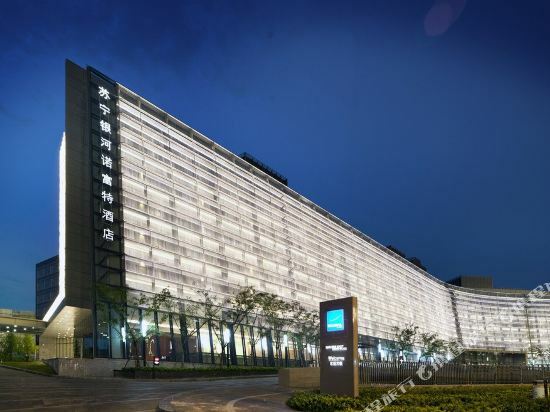 <br> <br>The&nbsp;Grand&nbsp;Metropark&nbsp;Hotel&nbsp;Nanjing&nbsp;also&nbsp;provides&nbsp;extensive&nbsp;meeting&nbsp;and&nbsp;banquet&nbsp;facilities&nbsp;for&nbsp;whatever&nbsp;event&nbsp;guests&nbsp;may&nbsp;have&nbsp;planned.&nbsp;The&nbsp;hotel's&nbsp;Grand&nbsp;Ballroom&nbsp;can&nbsp;accomodate&nbsp;up&nbsp;to&nbsp;1,200&nbsp;guests&nbsp;and&nbsp;comes&nbsp;equipped&nbsp;with&nbsp;fine,&nbsp;high-tech&nbsp;equipment. <br> <br>When&nbsp;it&nbsp;comes&nbsp;to&nbsp;refreshment&nbsp;and&nbsp;recreation,&nbsp;guests&nbsp;can&nbsp;exercise&nbsp;at&nbsp;the&nbsp;gym,&nbsp;take&nbsp;a&nbsp;dip&nbsp;at&nbsp;the&nbsp;swimming&nbsp;pool&nbsp;or&nbsp;play&nbsp;a&nbsp;game&nbsp;of&nbsp;ping&nbsp;pong,&nbsp;billiards,&nbsp;chess&nbsp;or&nbsp;cards. 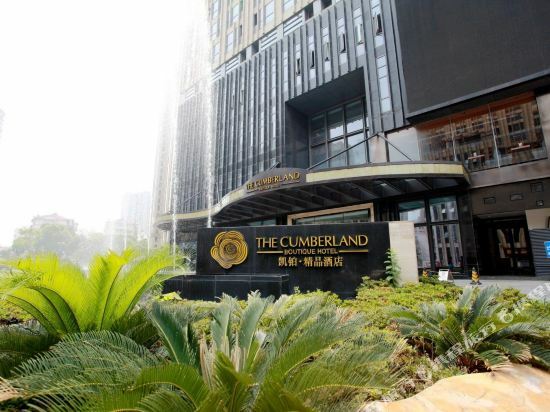 The&nbsp;Cumberland&nbsp;Boutique&nbsp;Hotel&nbsp;(Kaibo&nbsp;Jingpin&nbsp;Jiudian)&nbsp;is&nbsp;located&nbsp;in&nbsp;Xinjiekou,&nbsp;in&nbsp;the&nbsp;center&nbsp;of&nbsp;Nanjing,&nbsp;in&nbsp;convenient&nbsp;proximity&nbsp;to&nbsp;Zhujiang&nbsp;Road&nbsp;station&nbsp;on&nbsp;Metro&nbsp;Line&nbsp;1&nbsp;and&nbsp;Xinjiekou&nbsp;station&nbsp;on&nbsp;Metro&nbsp;Line&nbsp;2. <br> <br>Rooms&nbsp;in&nbsp;this&nbsp;Nanjing&nbsp;hotel&nbsp;are&nbsp;equipped&nbsp;with&nbsp;standard&nbsp;amenities&nbsp;as&nbsp;well&nbsp;as&nbsp;mini&nbsp;bars,&nbsp;in-room&nbsp;safes&nbsp;and&nbsp;Wi-fi. <br> <br>This&nbsp;hotel&nbsp;houses&nbsp;a&nbsp;fitness&nbsp;center&nbsp;and&nbsp;also&nbsp;offers&nbsp;facilities&nbsp;for&nbsp;playing&nbsp;chess. The Hanfu Hotel (Hanfu Fandian) is located close to Xinjiekou, the city's central business district. 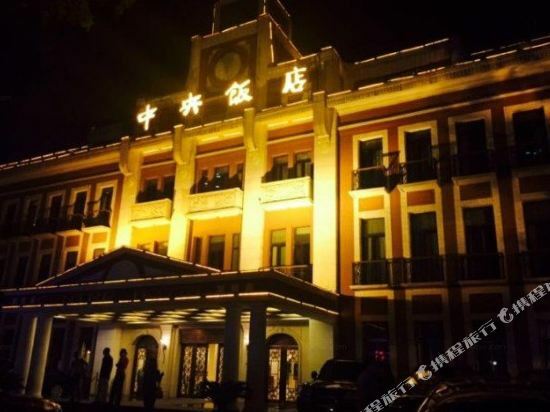 About ten minutes' drive sees guests to Nanjing Railway Station.<br><br>When it comes to dining, guests can choose between this Nanjing hotel's Chinese and Western restaurants. <br><br>Guests traveling on business can make full use of the five conference rooms, all of which are fitted with high quality audio-visual equipment and simultaneous interpretation systems. The large banquet hall is a good venue for weddings, parties and business receptions and more. Wi-Fi is also available in public areas of the hotel.<br><br>Those with free time can dive into the indoor swimming pool, work out in the gym or relax in the sauna. 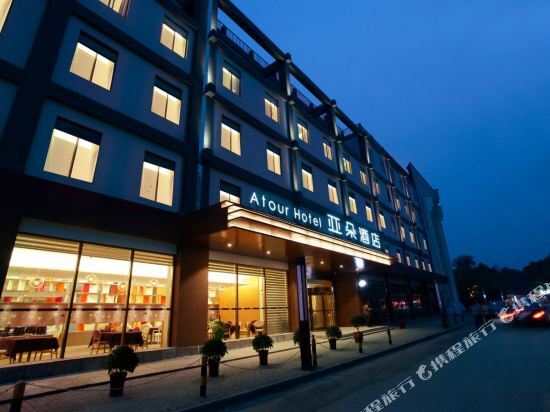 The Atour Hotel (Yaduo Jiudian) is located within easy reach of Line 1 Xinmofan Malu Metro Station. Lukou International Airport is approximately 45 km (28 mi) away. This Nanjing hotel provides Wi-Fi in public areas and parking on site. Against the backdrop of scenic Xuanwu Lake, the Nanjing Taihezijin Hotel (Nanjing Taihezijin Dajiudian) is within easy reach of Xinjiekou, the city center and the former Kuomintang presidential residence (Zongtong Fu).<br><br>In addition to free broadband Internet access in all rooms, business travelers on the executive floor and in executive suites also enjoy VIP service or independent office space.<br><br>Diners can check out the Western-style restaurant at any time for international cuisines and a buffet. Huaiyang cuisine is served in the Chinese restaurant. 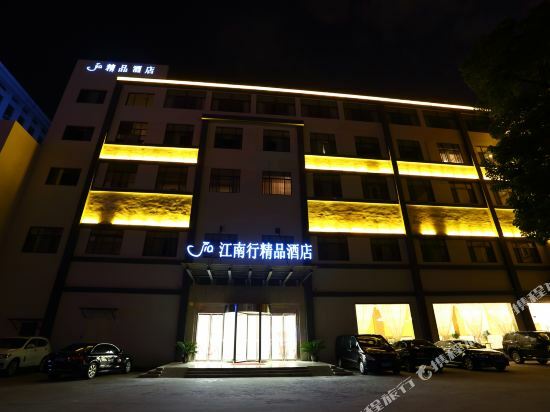 The 400 sq m (478 sq yd) function hall and conference room are suitable for conventions, press releases and parties.<br><br>When it comes time to relax, guests at this Nanjing hotel can use the fitness facilities, steamy sauna or play a game of pool. 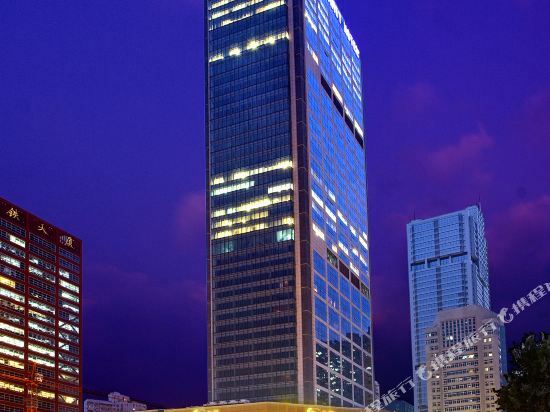 Novotel Nanjing East Suning Galaxy is located 11 km (6.8 mi) from Nanjing Railway Station. The Zhongshan International Golf Course is a five-minute drive away. Free parking and Wi-Fi in public areas are offered to hotel guests. A business center and meeting rooms are available for guests working while in Nanjing. A Chinese restaurant and a Western restaurant are on site for those looking for a convenient snack or a meal. A coffee shop and tea house are also on the premises. Guests can go for a workout at the indoor swimming pool and gym, or relax at the spa and sauna. A games room is also on hand where guests can socialize with a chess match or hand of cards. 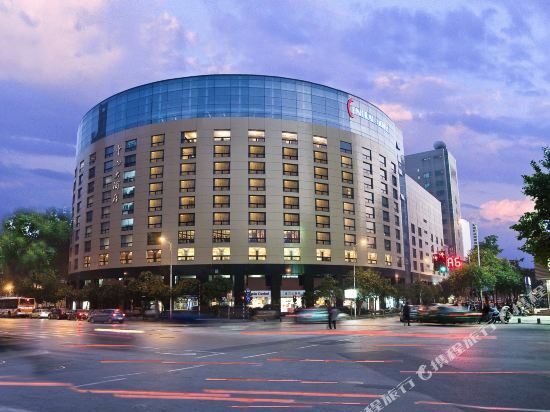 Located close to the center of Nanjing, the Nanjing Shanshui Hotel (Nanjing Shanshui Dajiudian) offers convenient access to both the vibrant downtown area and Nanjing Railway Station. Accommodation in this Nanjing hotel ranges from standard rooms to deluxe suites and all come with broadband internet and modern facilities. High-end rooms are equipped with a kitchen, washing machines, dishwashers and a Jacuzzi, basically everything guests would expect to find in their own homes, making this your home away from home. The on-site Chinese restaurant serves delicious Huaiyang, Cantonese and Sichuan dishes, while those pinning for international flavors can head over to the Western restaurant. To ensure the convenience of guests conducting business, this hotel provides many different services, a business center and function rooms. A massage parlor, spa, and tea house provide the perfect excuse for guests to pamper themselves, while the gym allows those fitness freaks to keep their muscles toned. 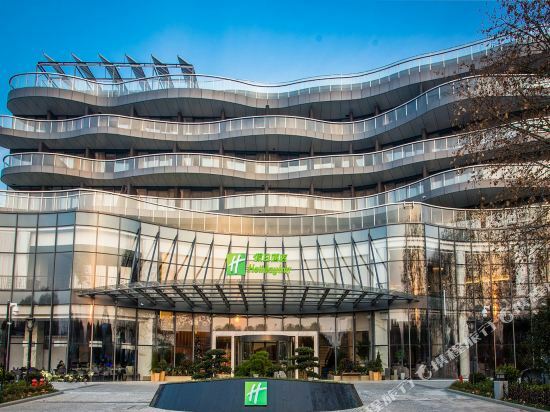 The&nbsp;Guoxin&nbsp;Hotel&nbsp;(Nanjing&nbsp;Guoxin&nbsp;Dajiudian)&nbsp;is&nbsp;located&nbsp;in&nbsp;Nanjing's&nbsp;Xinjiekou&nbsp;commercial&nbsp;area,&nbsp;7&nbsp;km&nbsp;(4&nbsp;mi)&nbsp;from&nbsp;the&nbsp;Nanjing&nbsp;Railway&nbsp;Station.&nbsp;The&nbsp;hotel's&nbsp;location&nbsp;provides&nbsp;ideal&nbsp;access&nbsp;to&nbsp;all&nbsp;methods&nbsp;of&nbsp;transportation&nbsp;and&nbsp;phenomenal&nbsp;views&nbsp;of&nbsp;the&nbsp;city&nbsp;landscape. <br> <br>The&nbsp;hotel&nbsp;provides&nbsp;extensive&nbsp;meeting&nbsp;and&nbsp;banquet&nbsp;space,&nbsp;including&nbsp;one&nbsp;convention&nbsp;hall&nbsp;and&nbsp;four&nbsp;small&nbsp;conference&nbsp;rooms,&nbsp;all&nbsp;supported&nbsp;by&nbsp;the&nbsp;latest&nbsp;state-of-the-art&nbsp;meeting&nbsp;technology. <br> <br>Hungry&nbsp;guests&nbsp;can&nbsp;dine&nbsp;on&nbsp;Chinese&nbsp;cuisine&nbsp;on-site&nbsp;or&nbsp;grab&nbsp;a&nbsp;coffee&nbsp;in&nbsp;the&nbsp;cafe. <br> <br>Meeting&nbsp;facilities,&nbsp;a&nbsp;business&nbsp;center,&nbsp;as&nbsp;well&nbsp;as,&nbsp;ticket&nbsp;and&nbsp;currency&nbsp;exchange&nbsp;services&nbsp;are&nbsp;available. <br> <br>When&nbsp;it&nbsp;comes&nbsp;time&nbsp;to&nbsp;relax,&nbsp;guests&nbsp;at&nbsp;this&nbsp;Nanjing&nbsp;hotel&nbsp;can&nbsp;go&nbsp;for&nbsp;a&nbsp;swim&nbsp;in&nbsp;the&nbsp;indoor&nbsp;swimming&nbsp;pool,&nbsp;play&nbsp;tennis,&nbsp;pool,&nbsp;ping&nbsp;pong&nbsp;or&nbsp;use&nbsp;the&nbsp;golf&nbsp;simulator.&nbsp;Additionally,&nbsp;guests&nbsp;can&nbsp;workout&nbsp;in&nbsp;the&nbsp;gym&nbsp;or&nbsp;head&nbsp;to&nbsp;the&nbsp;steamy&nbsp;sauna. 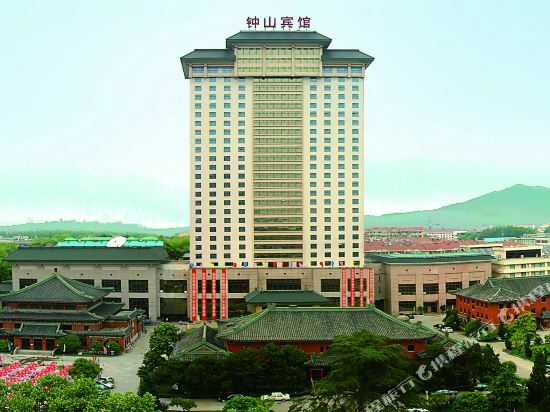 &lt;br/&gt; <br>Shuguang&nbsp;International&nbsp;Hotel&nbsp;(Shuguang&nbsp;Guoji&nbsp;Dajiudian)&nbsp;is&nbsp;located&nbsp;to&nbsp;the&nbsp;west&nbsp;of&nbsp;Nanjing&nbsp;Railway&nbsp;Station&nbsp;within&nbsp;easy&nbsp;reach&nbsp;of&nbsp;Zijin&nbsp;Mountain,&nbsp;Xuanwu&nbsp;Lake&nbsp;and&nbsp;Hongshan&nbsp;Forest&nbsp;Park,&nbsp;adjacent&nbsp;to&nbsp;the&nbsp;Xinzhuang&nbsp;Exhibition&nbsp;Hall&nbsp;and&nbsp;Zhongshan&nbsp;Golf&nbsp;Course. <br> <br>The&nbsp;hotel&nbsp;offers&nbsp;deluxe&nbsp;rooms,&nbsp;standard&nbsp;rooms&nbsp;and&nbsp;executive&nbsp;suites.&nbsp; <br> <br>There&nbsp;is&nbsp;a&nbsp;Chinese&nbsp;restaurant&nbsp;and&nbsp;a&nbsp;Western&nbsp;restaurant&nbsp;offering&nbsp;both&nbsp;a&nbsp;dinner&nbsp;buffet&nbsp;and&nbsp;a&nbsp;la&nbsp;carte&nbsp;meals.&nbsp;A&nbsp;banquet&nbsp;hall&nbsp;and&nbsp;six&nbsp;conference&nbsp;rooms&nbsp;of&nbsp;different&nbsp;sizes&nbsp;are&nbsp;equipped&nbsp;with&nbsp;audiovisual&nbsp;systems,&nbsp;broadband&nbsp;Internet&nbsp;access&nbsp;and&nbsp;multimedia&nbsp;facilities. 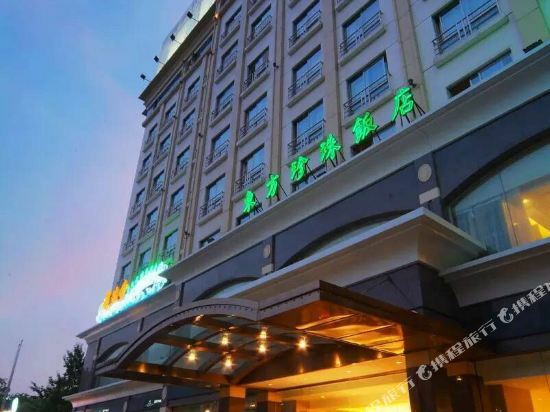 The Jiangnanxing Boutique Hotel (Jiangnanxing Jingpin Jiudian) is situated in Xuanwu District, close to Xin Jie Kou and Nanjing Presidential Palace. Nanjing Railway Station is just 5 km (3 mi) away while it will take around 40 minutes to reach the airport by car. Guests can enjoy breakfast at the on-site restaurant. This Nanjing hotel provides in-room Wi-Fi access as well as free parking. 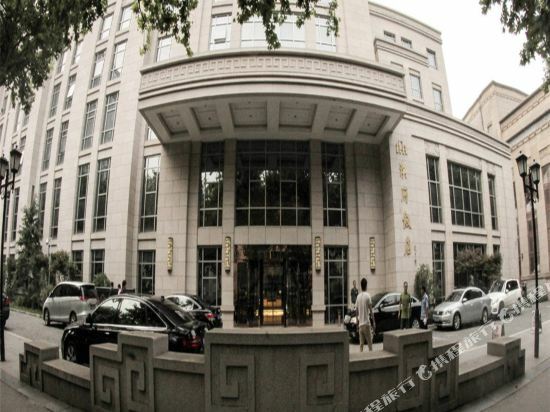 The Grand Mansion, a Luxury Collection Hotel Nanjing (Nanjing Shenghe Fudi Haohua Jingxuan Jiudian) is located within easy reach of the Oriental Metropolitan Museum and Presidential Palace. It takes about 15 minutes to reach Nanjing Railway Station by car. Diners can enjoy both Chinese food and Western cuisines at the on-site restaurant. A meeting room is available to those traveling on business. Guests with free time can pay a visit to the gym or take a dip in the swimming pool. This Nanjing hotel provides Wi-Fi in public areas and parking on site. 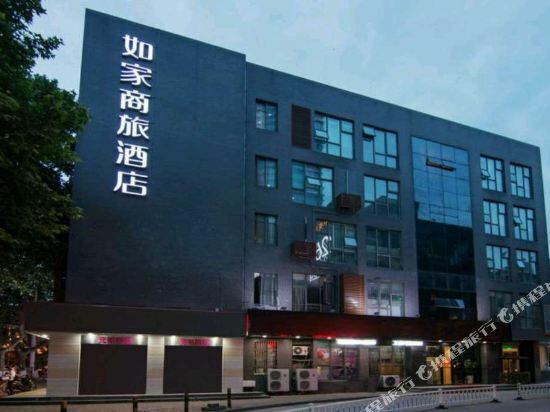 Located in Nanjing's commercial center, the Grand Metro Hotel (Gunandu Mingji Jiudian) is a business hotel near Xuanwu Lake and next to a local shopping area on Hunan Road.<br><br>This Nanjing hotel offers guestrooms with Internet access as well as all the standard amenities.<br><br>A business center is also available. 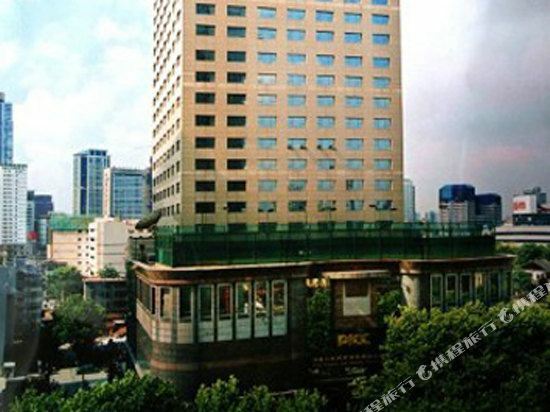 Built in 1929, the Centre Hotel Nanjing (Nanjing Zhongyang Fandian) is located in Xuanwu District's East Zhongshan Road and is an easy commute away from the bustling downtown area and offers many services such as postal, laundry, ticket and currency exchange.<br><br>Guests of this Nanjing hotel may choose from various accommodations ranging from standard rooms to business suites, which are equipped with all the standard amenities.<br><br>Guests may enjoy Chinese cuisine in the hotel’s restaurant. Beverages can be enjoyed in the coffee shop and tea house.<br><br>Guests are welcome to take advantage of the hotel’s fully equipped meeting rooms and business center. 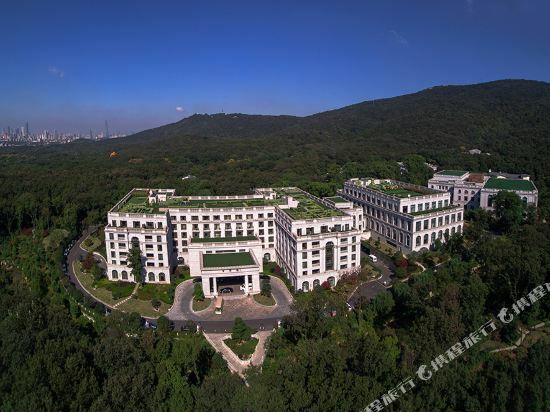 &lt;br/&gt; Located in the famous Zhongshan Mausoleum scenery area, the Nanjing International Conference Hotel (Nanjing guoji huiyi dajiudian) is close to numerous scenic spots and other places of interest. The hotel enjoys an exceptional location as well as a beautiful environment. The hotel has 400 spacious, comfortable guestrooms and suites, all furnished with modern facilities. To help ensure the success of your business mission, the hotel has eight multi-purpose rooms and banquet halls with hi-tech audio and video facilities. The hotel's restaurant offers great international and Chinese cuisine. The Purple Mountain Hall is gracefully decorated with beautiful mahogany furniture. The lobby sounge, night club and tea house are great places to have drinks or meet with friends. The hotel has a great recreational center in the basement. A sauna, bowling alley, squash and racquetball room, billiards room, dance hall, karaoke, gymnasium, beauty salon and clinic are all available here. And for a final touch, there is a mini golf course and four outdoor tennis courts. 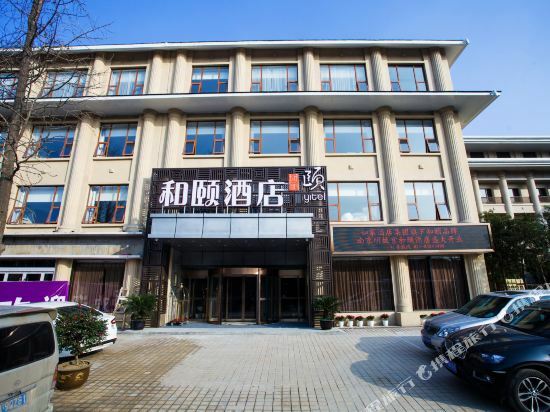 The Insurance Mansion (Baoxian Dasha) is located only 0.7 km from the bustling city center, close to Nanjing popular sights like the Confucius Temple and Presidential Palace, as well as many shopping centers. <br> <br>Diners may enjoy food at the on-site Chinese restaurant, one of private dining rooms, or the cafeteria. 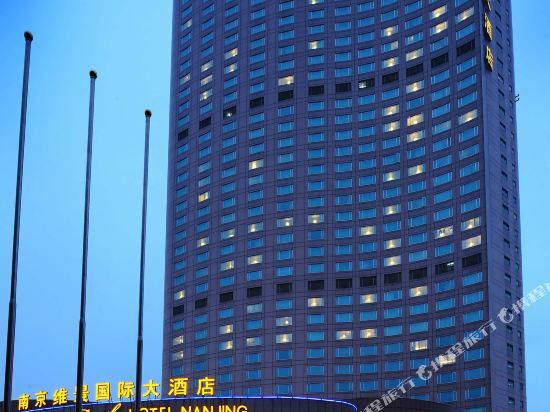 <br><br>This Nanjing hotel has variously-sized meeting rooms, the larger of which can accommodate 250-300. <br><br>During their spare time, guests may get pampered at the beauty salon, play tennis, or exercise body at the gym. Those looking to socialize may head to the café. 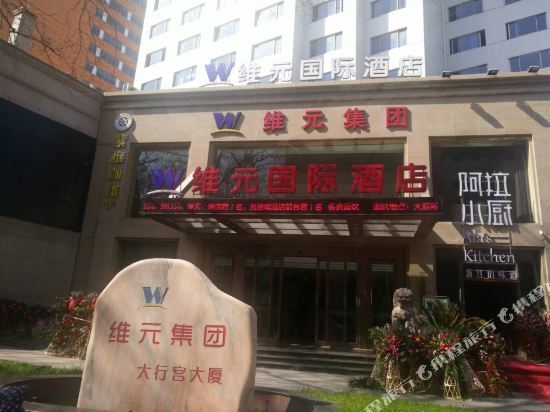 The Weiyuan International Hotel (Weiyuan Guoji Jiudian) is located within easy reach of Line 2 Daxinggong Metro Station. Lukou International Airport is approximately 41 km (25 mi) away. This Nanjing hotel provides Wi-Fi in public areas and rooms and free parking on site. 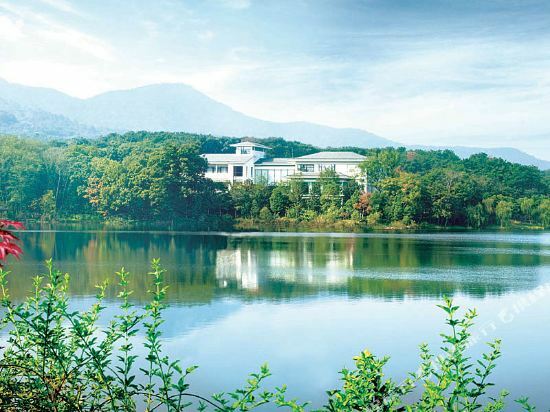 &lt;br/&gt;<br>Nanjing Dongjiao State Guest House (Nanjing Dongjiao Guobingguan) is in the south of Zijin Mountain, with a peaceful environment and enchanting scenery. The hotel is actually set in a natural oxygen bar. <br><br>Built in 1957, the hotel mainly received Communist party leaders and foreign politicians. Today, the hotel's unique environment, complete facilities and top grade service enjoy a good reputation overseas. Owned by Home Inns & Hotel Management since 2011, Motel 168 is a nationwide budget chain offering simple rooms with all the standard amenities including TVs and free broadband Internet access. If you want to stay in the best hotel in Nanjing, China, please come to Trip.com for a custom trip. Staying in exclusive Nanjing Xuanwu District hotel Trip.com offers, you can fully relax and enjoy the stay in Nanjing and around Nanjing. 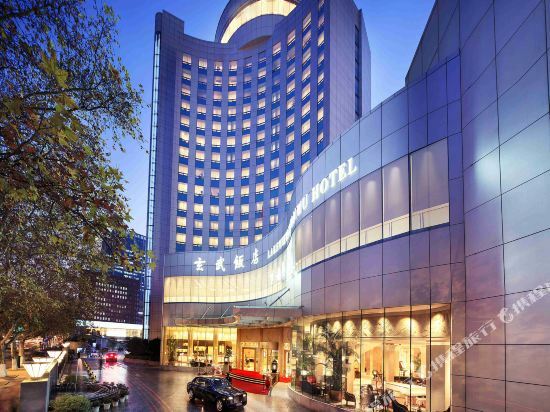 All these Nanjing Xuanwu District hotels lead in the industry in aspects of environment and recreation facilities, providing the best hotel service in Nanjing. 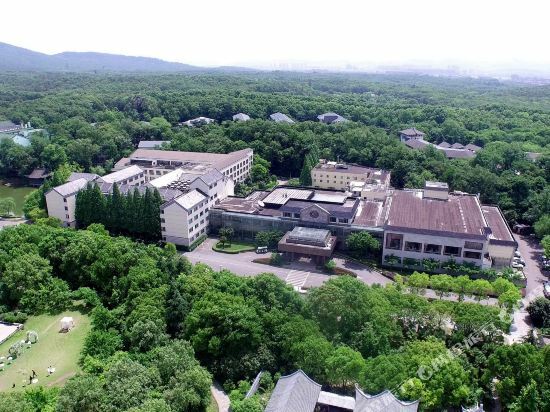 To ensure that you can find the latest Xuanwu District hotel in Nanjing, the latest hotel price as well as hotel facilities and indoor facilities information will be offered. 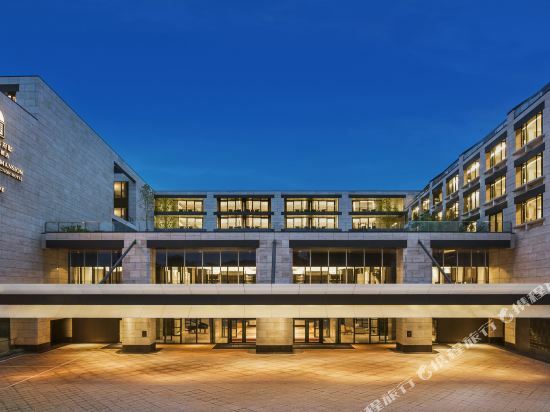 In the meantime, detailed photos of Nanjing Xuanwu District hotel will be displayed, making you know quickly whether hotel’s interior environment meets your taste. Besides, you can know specific location and reviews on Nanjing Xuanwu District hotel from millions of users. If you want a nice room with limited budget, please filter through price and distance to get an appropriate Nanjing Xuanwu District hotel. To ensure you can experience the best Nanjing Xuanwu District hotel, users and we give a comprehensive rating on hotel, which gives useful help. Believe it or not, as the biggest online travel service company, we have the best service assurance and perfect users’ experience to meet your requirements in different aspects, no matter it’s Nanjing hotel or Nanjing Xuanwu District hotel.